94% of everyone who visits your website will make a positive or negative impression on your company in the first 3 seconds based on design alone. You need to spend the time and money to make sure that your business has an amazing, stunning website design. This will build trust and make you look professional and reliable. Consistency is everything when it comes to your website, marketing and social media. Consistency in you branding is even more important. You want people that see your logo and colors anywhere online or print to immediately know who you are, trust you and have positive feelings about you. A lot of companies miss this and use a variety of colors, logo versions, fonts and styles even which creates an inconsistent feel to the user, they are confused. A lot of businesses think ok, I’ll have a Facebook page, but what’s the point really? This is a HUGE potential for your company to reach current and new customers / clients where they are. Facebook, Twitter, LinkedIn, Google+ and yes even Instagram are fantastic marketing tools that will drive people back to your web site to purchase from you. One of the most confusing and under-used aspects of having a great website. Either you’ve had a bad experience with a slimy company or you just feel like it’s unnecessary. The truth is, when done right, it is one of the most effective and cheapest forms of advertising and marketing you’ll get. Making sure that when people are searching for the product you sale or the service you provide, they find you and not your competitor. Attracting people to your site is step 1. Next you want to keep them there, keep them engaged so that they will learn more about you and at the least contact you providing you with a warm lead or best case they purchase and become a sale. 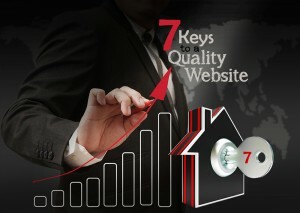 Your website should be your top performer. 24/7 365 days a year, no holidays, vacations or sick days… it just works for you OR it doesn’t. Make sure your site doesn’t just look amazing but engages your visitors. Just like with any business, mine included, you have to show why you are different. Right? For example there are millions of people that “design websites” from professionals, to the guy living in your basement (**wink wink*). What is the difference between these. Then finding who you’re equals are in your industry and finding what makes you different from them. Breaking this down is vital to making sure your site doesn’t just look great, engage your visitors but also converts them in to sales or/and clients. The dirty word no one wants to talk about, right? $$$ Why we all hate sales calls and why we all hate having to buy something we don’t understand or don’t feel or see value in… right? This is why so many, millions, of companies try to cut corners because the owner or CEO doesn’t understand the value or feel it. Did you realize though that you actually cost your company thousands, sometimes millions of dollars by going the cheap route and hiring the guy down the street who promised the moon and provided a out-of-the-box basic 1990’s website to represent you and the business you worked so hard to build? That’s right, studies show consistently that companies that go the cheap route with their website miss out on leads and sales far more than those who understand these 7 keys. To break it down for you, in 50 milliseconds a customer gains a positive or negative impression of your company based on viewing your website. It takes 250 milliseconds to blink. Further studies also show that once they make this impression, it can take years to reverse it. This article was posted in Design, Development. « Does Your Website Use Flash?